Imagine a world without rubber - neither tyres for motoring or flying, nor bouncing balls for sports, neither seals for washing machines and dishwashers, nor medical gloves - no elastics. 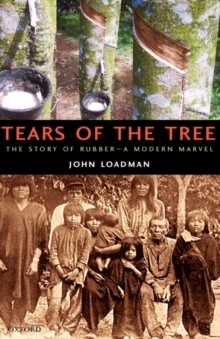 This unique book tells the fascinating story of four thousand years of rubber - from its significance in Mayan religious rituals and culture to its pivotal role in today's world. It is seen through the lives of the adventurers and scientists who promoted it, lusted after it and eventually tamed it into the ubiquitous, yet crucial material of our lives today. It also examines the lives of those who caused the deaths of millions of natives in Africa and South America whilst seeking to satisfy thedeveloping world's demand for this wonderful new material as well as their nemeses. Written in a biographical format, the book examines why rubber ages and deteriorates and how the ravages of time may be ameliorated. It deals with our current concern for the environment and various options for 'waste disposal'. For the majority of people, rubber is mostly an unknown history and even for those who think they know 'the truth' about rubber, this book may offer many surprises.